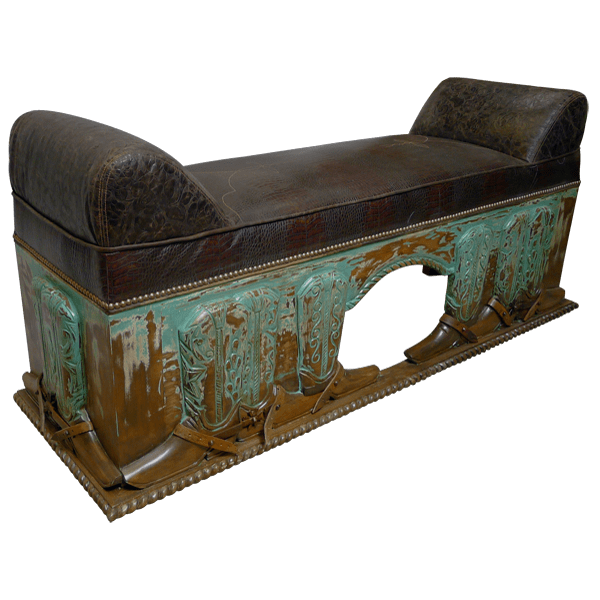 With its hand carved, cowboy boot design, this gorgeous, handcrafted, Western style bench will be a marvelous addition to your Western décor. The top of the solid wood frame is adorned with an ornate, hand carved, twist rope design, and centered in the frame is a bridge like gap. 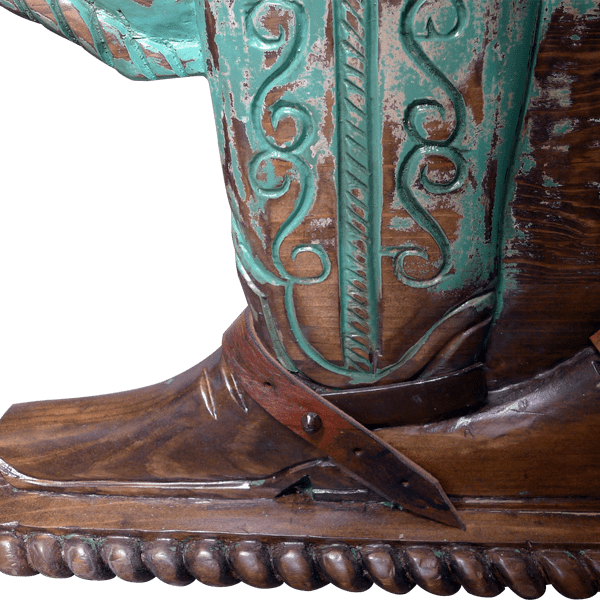 On each side of the centered gap are three, hand carved, cowboy boots, and each boot has a leather toe strap. The frame and the upper part of the boots are finished in a distressed, faded, turquoise stain. The hand carved, cowboy boot design is repeated on the lateral sides of the bench. The lower part of the frame is adorned with a lovely, hand carved, twist rope design. The bench is designed without a back, and it features padded armrests on each side of the wide, rectangular seat. The comfortable, well padded seat and the armrests are upholstered with luxurious, patterned, full grain leather, and there are hand sewn details on each side of the seat. 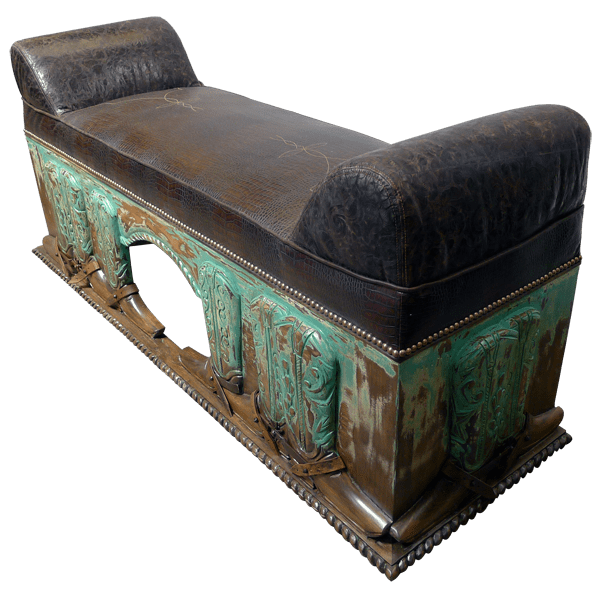 The upholstery is precision hand tacked to the frame with decorative, gilt nails, and the junctions of the leather are painstaking sewn together with a leather cord. It is made with the best, sustainable, solid wood available, and it is 100% customizable.